NEW IMPROVED MODEL - Less current draw and less ripple! 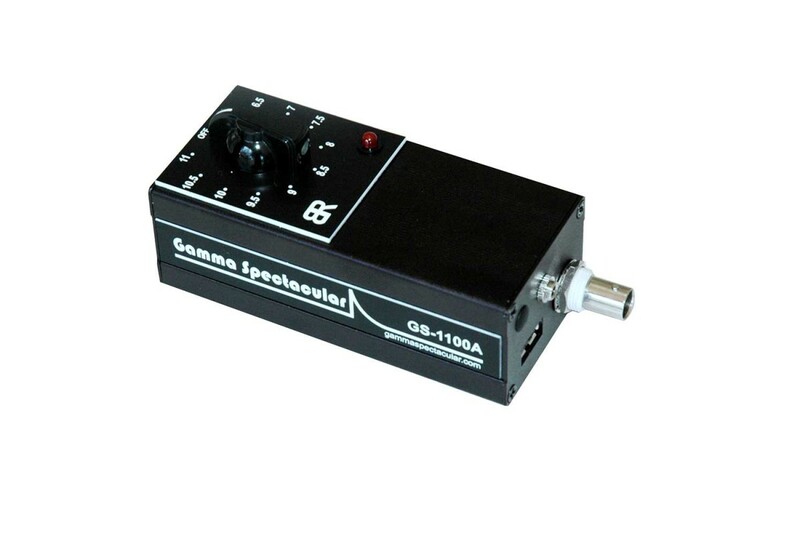 Gamma Spectacular is the most practical and lowest cost spectrometer, it can be used with powerful FREE software, now you no longer need expensive NIM equipment, such as, PSU, AMP, ADC or pulse shaping to do gamma spectrometry. The GS measures only 110 x 50 x 40 mm and is fully portable. 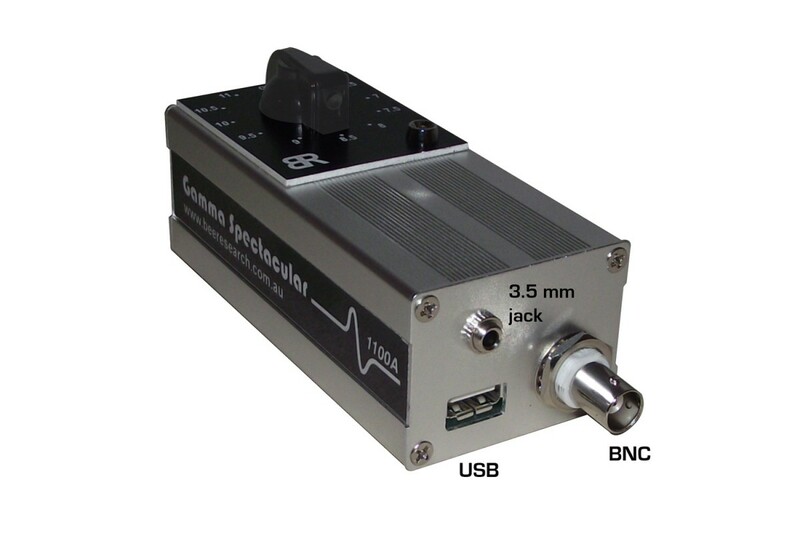 The GS is powered by the USB port on your computer, it has a BNC high voltage output for your radiation detector, and a 3.5 mm audio jack for the signal output (PC Line In port). For a simple source activity check, the audio signal can be played back through the speakers of your computer, and for more advanced research, the signal can be processed by smart software on your computer, to create spectacular professional quality graphic analysis, of nuclear gamma radiation energy. The GS-1100 will work with a wide range of radiation detectors, from simple GM tubes to advanced sodium iodide scintillation detectors. 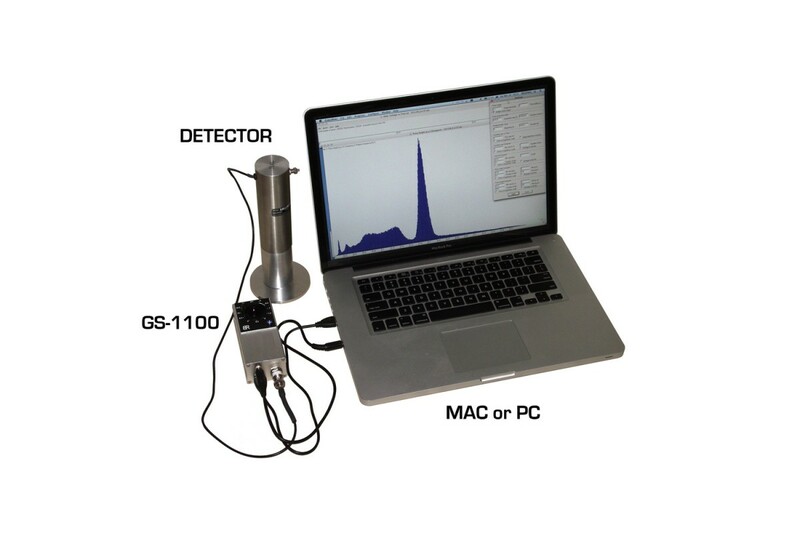 Used with 'PRA' or 'Theremino MCA' (both FREE software), and a suitable detector, Gamma Spectacular becomes a full gamma spectrometry system. 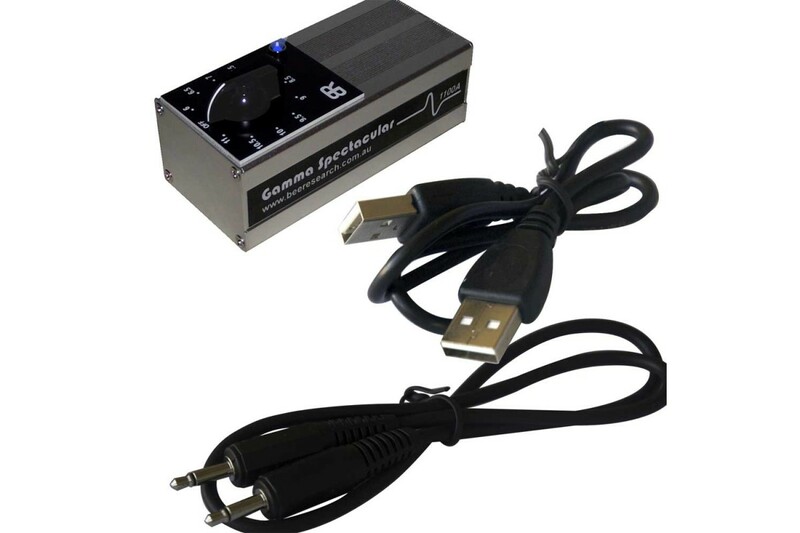 Gamma spectacular outputs an audio signal proportional to the pulse energy, and is designed to work with sound card spectrometry software, utilizing the analog to digital capabilities of modern computers. This unit does not come with a radiation detector. For basic radiation activity measurements, it will work with most GM tubes or pancake detectors, and for Gamma spectroscopy it will work best with NaI scintillation detectors coupled for positive voltage, having 15 M ohm resistor chain or more. Please feel free to send us the make and model number of your radiation detector, to confirm suitability. There are several great programs available for sound card spectrometry, and most of them are FREE, please see our software download section for the program that suits your need here. 2.0" x 2.0" NaI(Tl) Scintillation Detector This detector is a great general purpose detector, it..